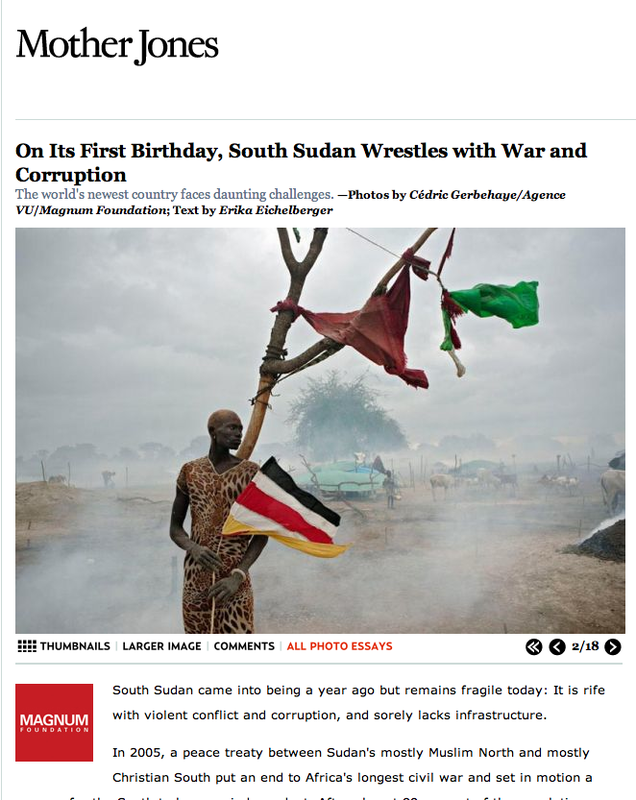 South Sudan came into being a year ago but remains fragile today: It is rife with violent conflict and corruption, and sorely lacks infrastructure. In 2005, a peace treaty between Sudan’s mostly Muslim North and mostly Christian South put an end to Africa’s longest civil war and set in motion a process for the South to become independent. After almost 99 percent of the population voted for separation in January 2011, the leaders of the main Southern rebel group, the Sudan People’s Liberation Army, became the de facto leaders of the new nation. Today, the country is among the worst in health and education rankings globally. And President Salva Kiir recently admitted that the country’s leadership stole $4 billion in funds intended for clinics, roads, and schools.